April is the time of rebirth and Spring cleaning! Start anew this month with new and improved infrastructure, software, and security. Don't be fooled by hackers this month and make your infrastructure secure! Many large enterprises today have a multi-cloud environment and often end up having multiple cloud suppliers. 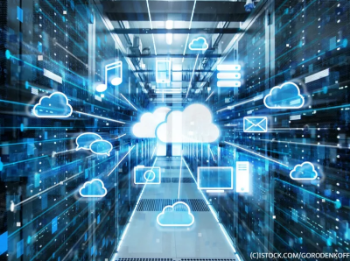 The more clouds you have, the more complex your infrastructure, connectivity, and security becomes. Software Defined-WANS can enable enterprises to realize the full potential of a multi-cloud environment. Read more about SD-WANs and how they can improve your multi-cloud environment from CloudTech. The speed and and scale of digital updates are putting risk and internal auditing professionals in a tight spot. 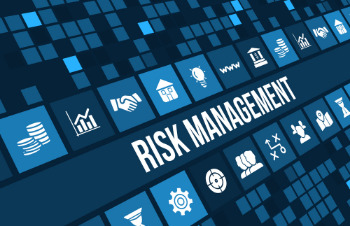 When risk management is at the top of its game, "leaders have a clear line of sight into threats for informed decision making". Consulting firm PwC studied and surveyed over 2,000 CEOs, board members, and professionals in risk management and found six habits risk functions follow that help companies set a course for growth. Read about the six habits of successful risk managers by clicking the button below. Do you use a site-to-site VPN? A site-to-site VPN allows offices in multiple fixed locations to establish secure connections with each other over a public network. Site-to-site VPN extends the company's network, making computer resources from one location available to employees at other locations. An example of a company that needs a site-to-site VPN is a growing corporation with dozens of branch offices around the world. If you experience issues with your VPN, read our site-to-site VPN troubleshooting knowledgebase article! Follow us on social media to stay up to date on technology news. Find us on Facebook, Twitter, and LinkedIn! Today Juniper Networks announced that they plan to acquire Mist Systems for $405 Million. Mist Systems are the creators of a wireless LAN network that is powered by artificial intelligence. Get more details on the acquisition and what's to come from ZDNet. Are you using the latest version of Windows 10? Attackers have been combining an exploit for the unpatched local privilege escalation in Windows with a separate security flaw in the Chrome browser that Google fixed last week. While this exploit combination won’t be effective against Chrome users who are running the latest browser version, the Windows exploit can still be used against people running older versions of Windows. Get more information on this zero day bug below.